During my recent trip to New York, I ventured to Times Square for the first time. As I told friends, it was like walking directly into the sun. In fact, the first morning that I walked down there, I found that the lights of Times Square rivaled the rising sun. So, I decided to return in the evening and take a few pictures to share. 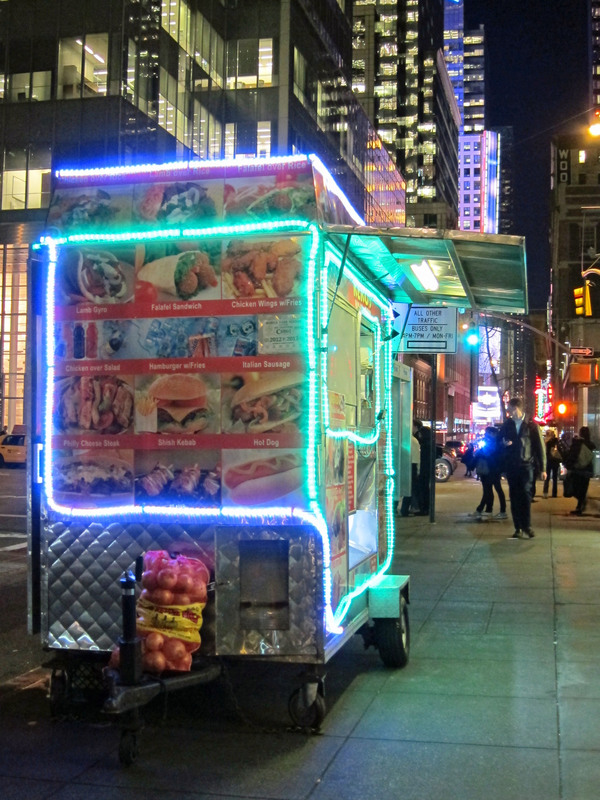 On the way to Times Square -- because every food cart needs neon. The stock market has apparently gone to the dogs ... (and Chevy, based on the advertisement). 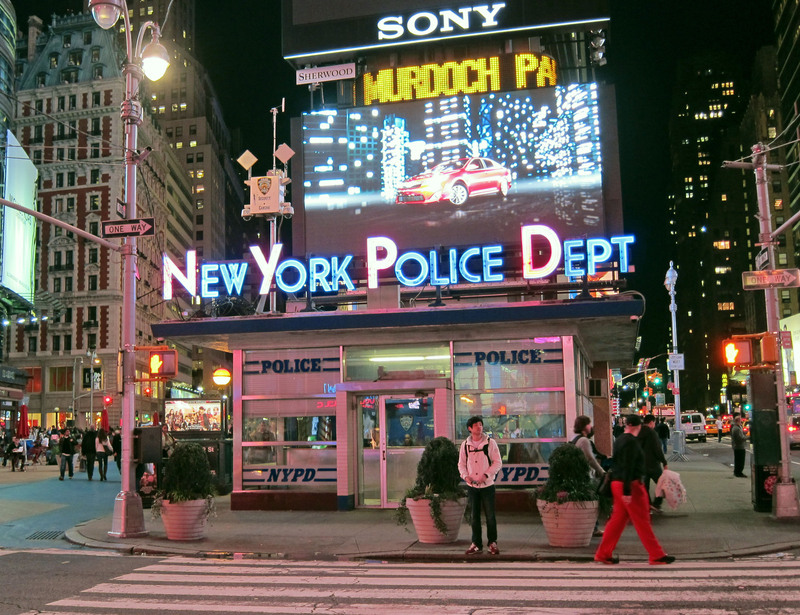 Because every police department needs its name in lights. When I think M&Ms, I ALWAYS think Corona. 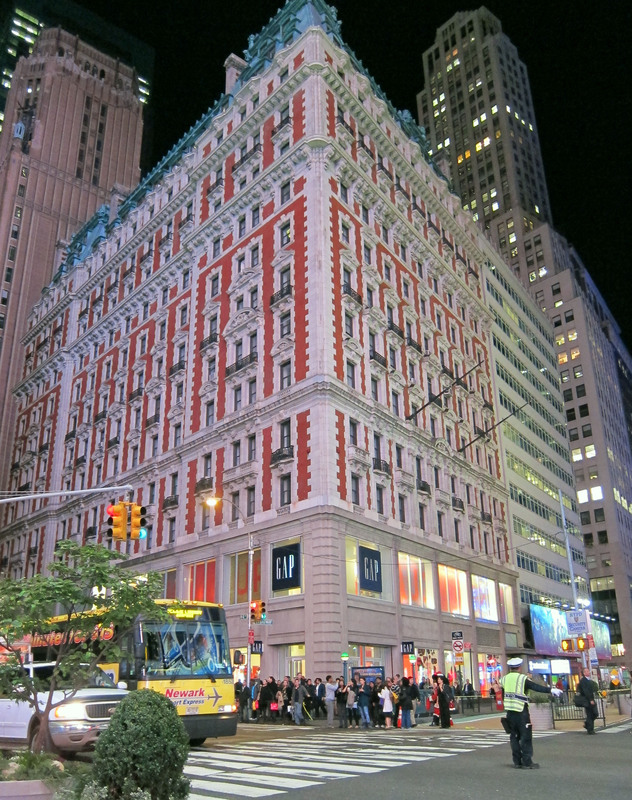 The quintessential Times Square site – a brightly lit building although the sky is pitch black.